â€œGood luck trying to get a decent photo of my dog â€“ (s)heâ€™s crazy / shy / disobedient / completely untrained / etcâ€� (delete as appropriate). Well, Iâ€™m here to tell you: if I canâ€™t get a photo of your dog looking like (s)he sits still for a living, you can have your money back. 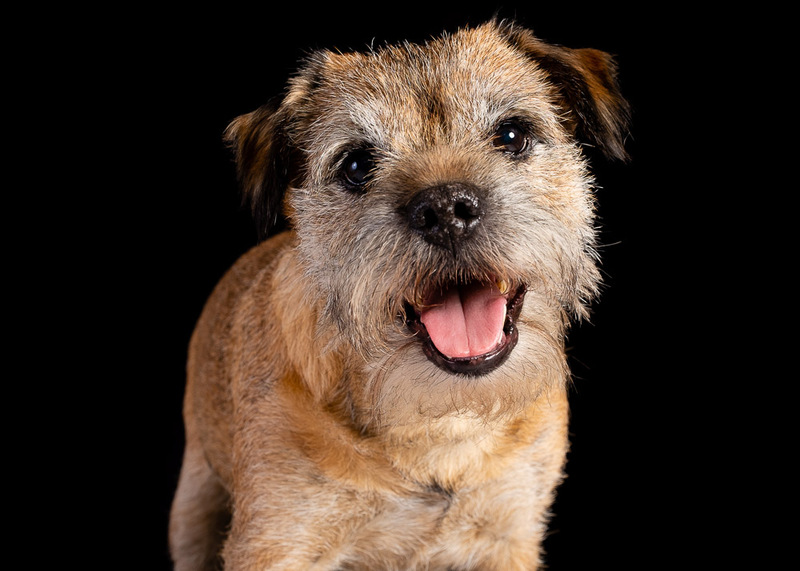 So some dogs that I see in front of the camera can be, to be very polite, a bit of a handful! 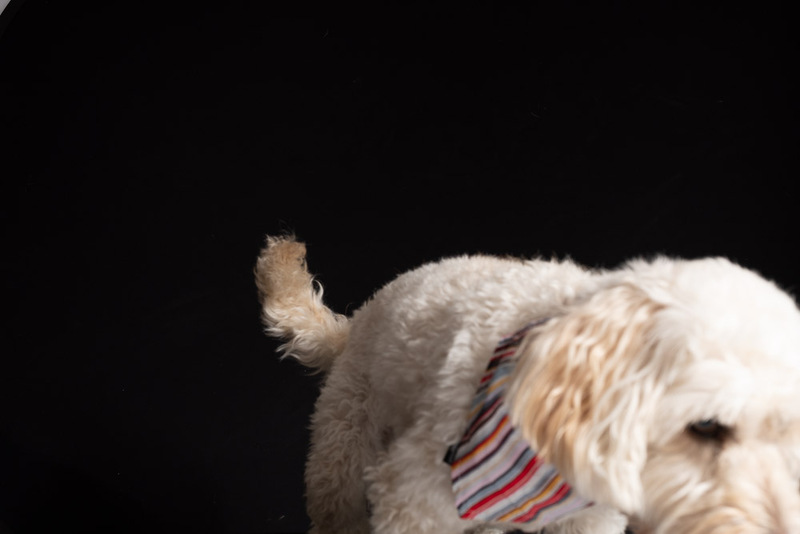 Thatâ€™s right â€“ thanks to the shutter speed of my camera and the flash duration of my lights, your dog only needs to pose for a timespan that is imperceptible to the human eye. My job is to be pointing the camera in the right direction, with my shutter finger poised, at the right time! The follow-up question though is: how do you get a dog to even sit in the right spot and face the camera for long enough? The answer to that isâ€¦ a few reliable methods that Iâ€™ve learned over the years, none of which should be a total surprise. First and most obviously: food! I find that a stinky foodstuff works best (sorry, owners! ), and one that they may not already be used to. My current weapon of choice is the chopped-up hot dog sausage! Next thing to try is noise â€“ as well as various squeaky toys in my kitbag, I have a phone app that emulates a whole load of animal noises, both familiar and exotic. One of these can usually get a quizzical head tilt (I love a head tilt, me). 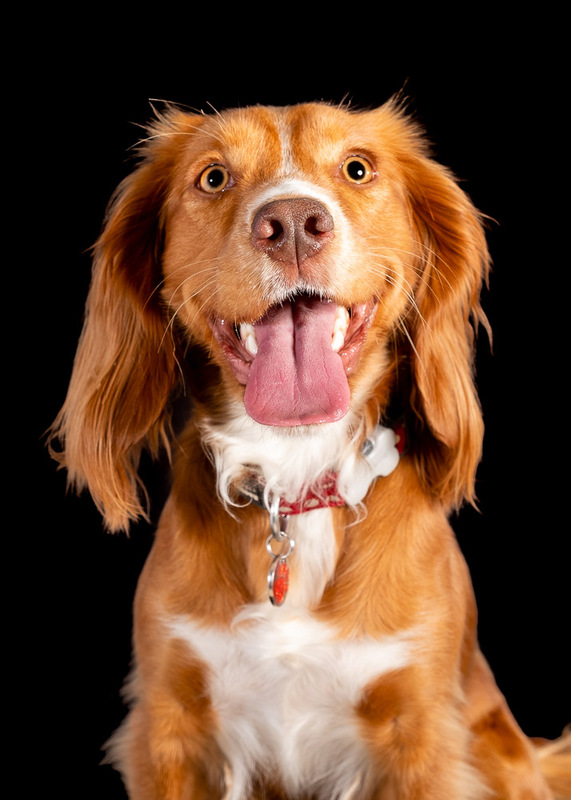 As a lot of dogs focus their attention on the owner more than a photographer, another trick is to get the owner to stand in line with the lens, in front of or behind the camera. If need be, I can trigger the shutter remotely. One way or another, Iâ€™ll get that dogâ€™s attention! 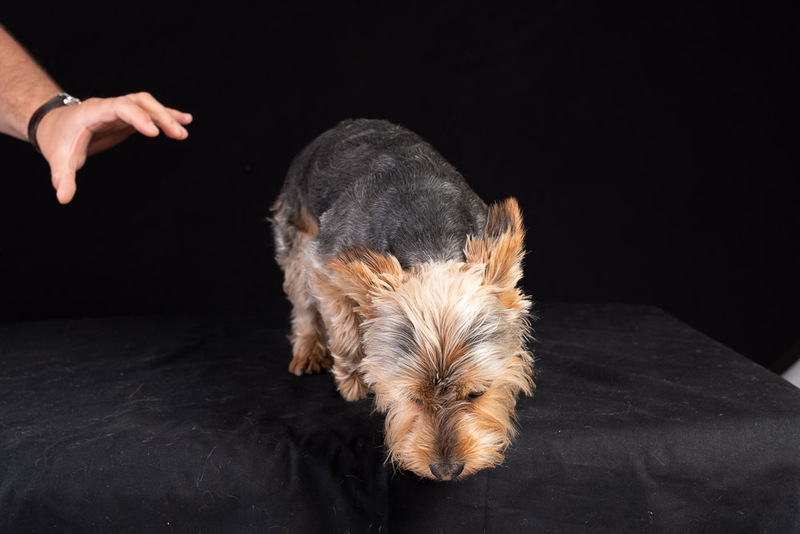 Some dogs, especially younger ones, are just SO EXCITED about the photo session that they just wonâ€™t stay still â€“ zooming around the room, jumping up and down, licking the photographerâ€™s face and generally bouncing off the walls. 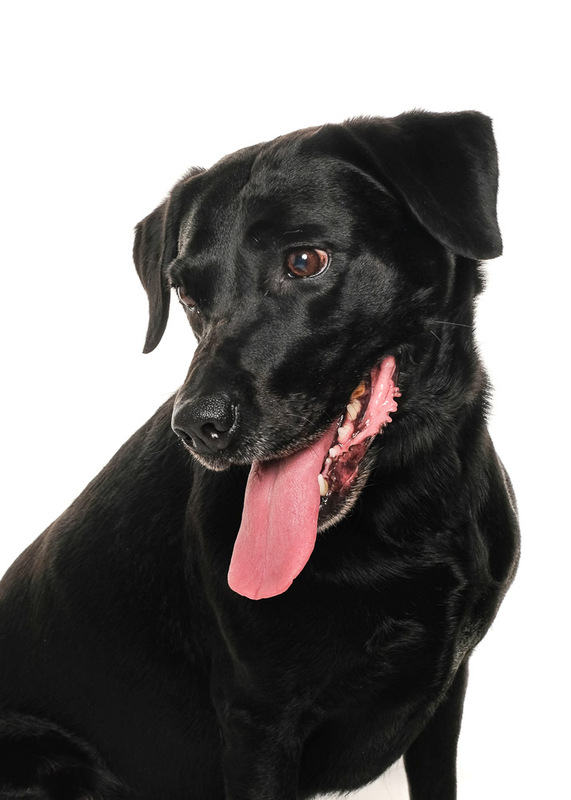 In these cases the doggy is almost always calmer and easier to control if they are on their lead. 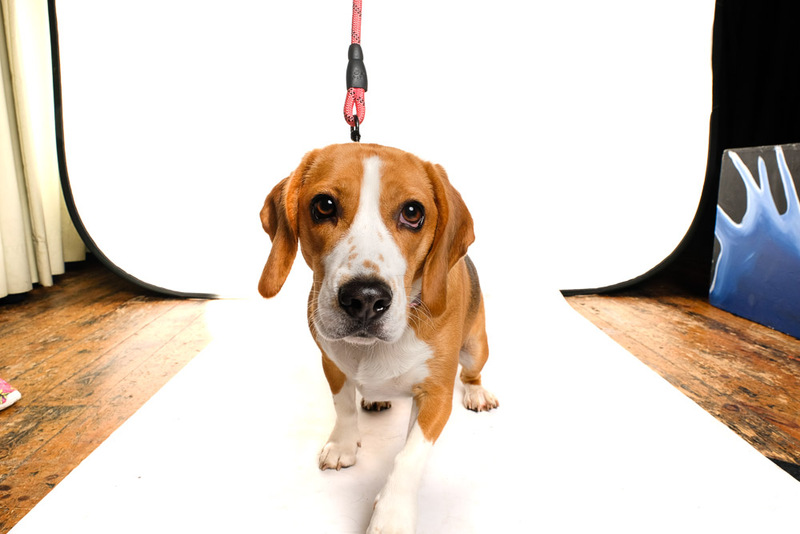 Well, taking a portrait of a dog on a lead is no problem â€“ and removing that lead afterwards with Photography Magic* is very little trouble. 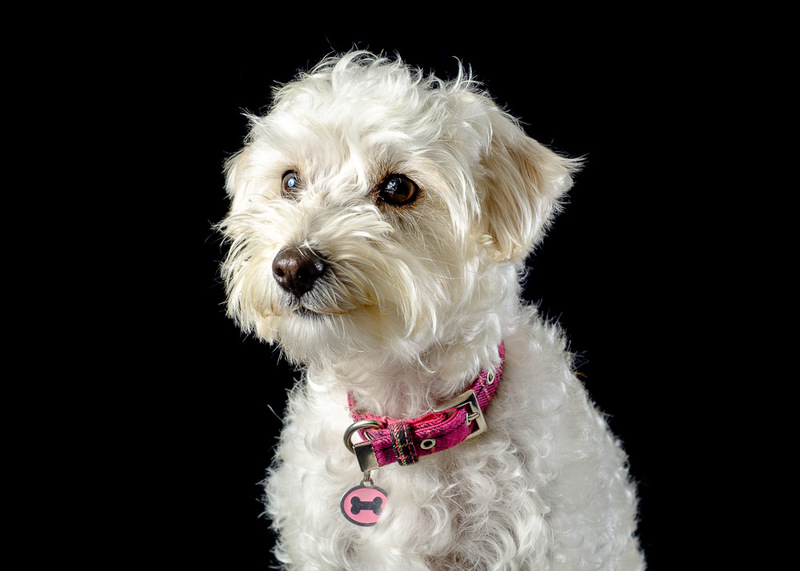 I can get a decent picture of your dog â€“ Iâ€™m a professional dog photographer!